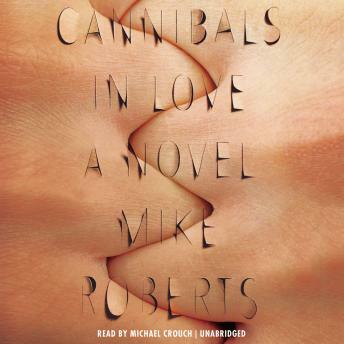 Soulful, gritty, and hilarious, Cannibals in Love is the debut novel from a bold new voice in fiction, and a manifesto for the generation that came of age at the dawn of the twenty-first century. Mike is about to graduate from college and inherit a world much different from the one he was promised. The World Trade Center towers have just fallen, the Beltway Sniper terrorizes the nation's capital, and a polarizing president pushes forward a dubious war. Told in eighteen vignettes, Mike's misadventures begin in Washington, DC, and span Brooklyn, Portland, and Austin as he takes up arms with the overeducated, underemployed millennials who surround him. Nursing writerly ambitions, he works a series of humiliating jobs-counting lampposts, writing spam emails, babysitting a teenage boy-while composing a thousand-page novel about cows as an allegory for the invasion of Iraq. And at the center of the book resides a tumultuous, passionate love story that could arise only between two people with nothing to lose. Like a carefully assembled mixtape, Cannibals in Love weaves tender moments and summer idylls with violent late nights and the frustrations of a generation. From delirious offtrack betting to a fateful walk across Kansas, Mike Roberts takes us into the guts of masculinity and identity in the age of the Internet, and joins an emerging group of young writers who are redefining the contemporary novel.